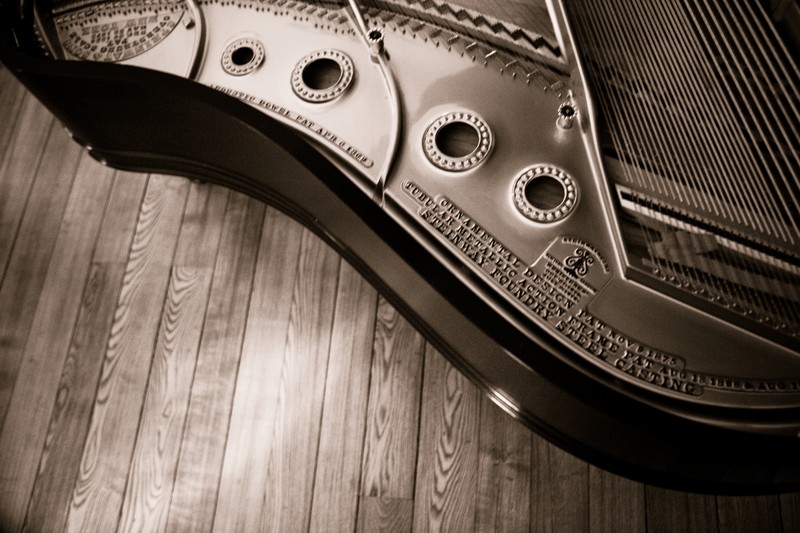 Mental practice can be as effective as physical practice in music. That sounds crazy, right?! You wouldn’t train for a marathon by sitting on your couch and thinking about running 26.2 miles. It seems counterintuitive that we can practice music without making a sound or even having an instrument in our hands. But practicing away from the instrument can be as effective or maybe even more effective than practicing with the instrument. It’s not always practical to play an instrument. You can’t whip out a trumpet on an airplane; your boss might not appreciate the sound of an oboe during a break at work. However, it’s not difficult to find a quiet spot to look at sheet music. If you get in the habit of carrying music with you, like a novel, you can find excellent opportunities for mental practice throughout the day. Perhaps you have a doctor’s appointment that will interfere with your normal practice time or maybe a nasty chest cold is inhibiting your ability to work on the vocal solo you need for an audition. 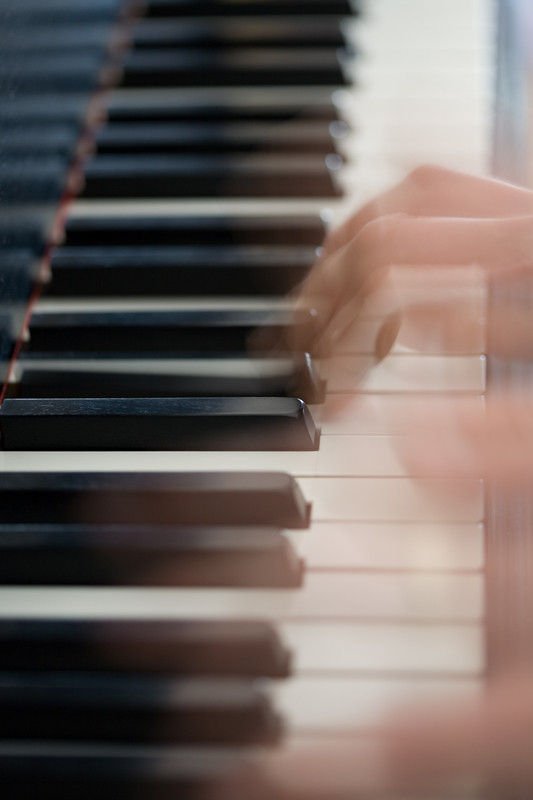 Mental practice will help you make progress toward your musical goals. There are four major areas where mental practicing is superior to physical practicing. 1. Tapping Rhythms. The most obvious thing to practice away from the instrument is rhythm. I like to tap the rhythm on my leg as I watch the music. Some people like to clap, snap fingers, or say a nonsense syllable like “ta.” For added difficulty, try tapping the beat with one hand and the rhythm with the other. (Remember, the beat is the constant pulse of the music whereas the rhythm is how the beat is divided.) Maybe you like to count out loud. That works too. Or you can tap your toe to the beat and clap the rhythm. Continue changing it up by using simple rhythm instruments like a hand drum or castanets. Adding the metronome is always a good idea. (For more ideas on how to use the metronome, see an upcoming blog post.) The way you tap the rhythms is limited only by your imagination. Remember, the more fun you have, the better you will learn the material. 2. Sizzling Articulations. For wind players: Reinforce proper articulations by practicing them away from the instrument. Make a loud hissing sound by blowing air through your tongue and teeth, like a snake. You will be able to use your tongue to articulate the notes and the hissing sound will create resistance similar to your instrument. However, by focusing on just the skill of articulating (not tone or fingerings), you will be better able to catch and fix mistakes. For string players: mimic holding the bow in your right hand and practice the changes of direction. 3. Ghost Hands. Sit comfortably with music in front of you. Place your hands on your knees or in your lap. Now imagine that your arms are moving into playing position. In your mind, feel the instrument under your fingers. Now begin to hear the piece in your mind. Imagine your fingers moving, playing the piece flawlessly. Remember, you aren’t actually moving your fingers nor are you singing the music, but the image should be strong enough that you can hear it in your mind and your fingers “feel” the movements. 4. Visualizing the Performance. One to two weeks before a recital, competition, or audition, try to imagine what the performance day will be like. Think about all the minor details, such as what you will be wearing and what the room might look like. Imagine yourself looking confident and calm as you walk onstage. Try to anticipate anything goofy that might happen. Plan for the worst and you’ll be surprised at how smoothly the performance actually went. I have found that the unexpected events can really throw things out of whack, but if you’re ready for anything, nothing will make you lose your cool. Imagine a judge writing with a squeaky pencil and a deep scowl on her face. Think about how you might feel if you get lost on the way (and then add some extra time to your travel plans.) Breathe deeply while you visualize and reassure yourself with positive self-talk. Don’t dwell on the negative, however. Spend most of your time visualizing a perfect performance and a deep sense of satisfaction. Athletes believe in mental practice. So do surgeons. If you don’t believe me, read the articles “Mental Practice for Musicians,” “Mental Practice Makes Perfect,” and “The Benefits of Mental Practice.” I also recommend the book The Inner Game of Music.